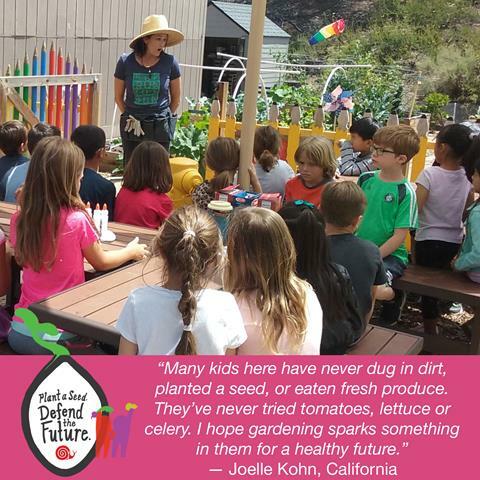 Last week, we publicly launched our spring campaign to Plant a Seed. Defend the Future. 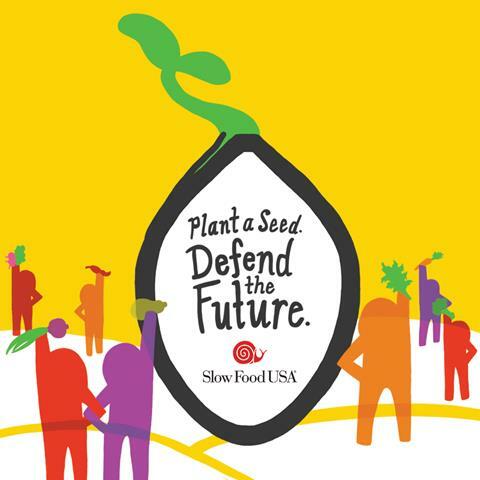 Our goal is for 1000 gardens across the United States to plant and grow Ark of Taste seeds this spring. We put together a toolkit for chapters and partners, so you know what's coming up and have full access to graphics you can use to join and promote the campaign. If your chapter requested a garden kit, we'll be shipping those out in about two weeks. Thanks for your patience. Each garden kit includes seeds for Aunt Molly's Ground Cherry, Early Blood Turnip-Rooted Beet, and Amish Deer Tongue Lettuce; a limited-edited poster and stickers; a Slow Food field notebook with recipes; engraved plant markers; and a beautiful cedar sign for your garden. 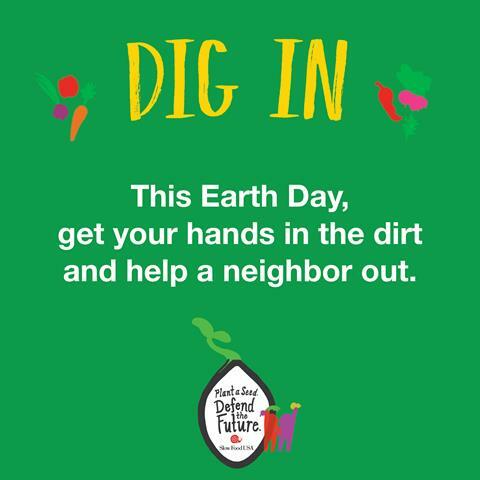 We want to use Earth Day as a national call to "Dig In." This is a day for volunteers to connect with a local garden or farm and help their neighbors out. Can your chapter or group organize an event? Please submit your event details here as soon as possible, and we'll promote what you're up to. 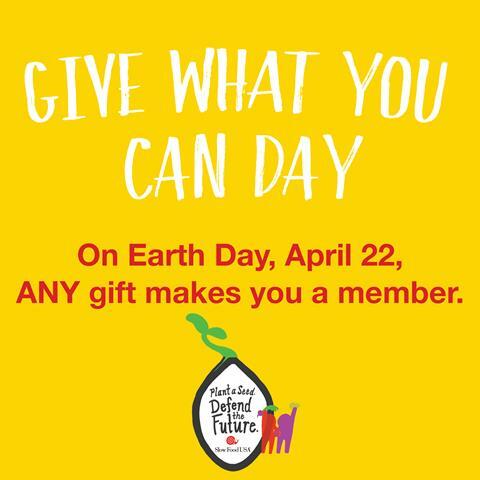 Also on Earth Day, any amount makes you a member of Slow Food. Normally $60 for an individual membership, this is a great way to lower the barrier for new members, folks who have limited income, and students. Download the official campaign graphics, poster and sticker files, and inspirational quotes to promote the campaign and highlight the importance of biodiversity and gardening. This film is closely aligned with the goals of our campaign. 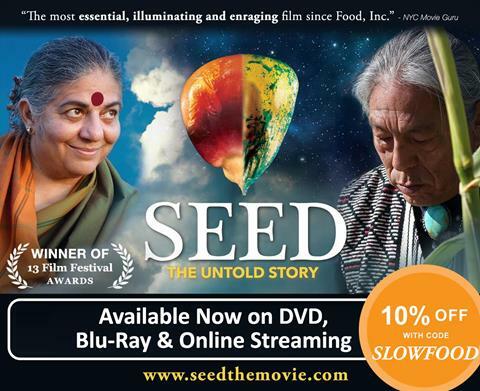 It is an award-winning documentary about the dramatic loss of seed diversity and the future of our food. 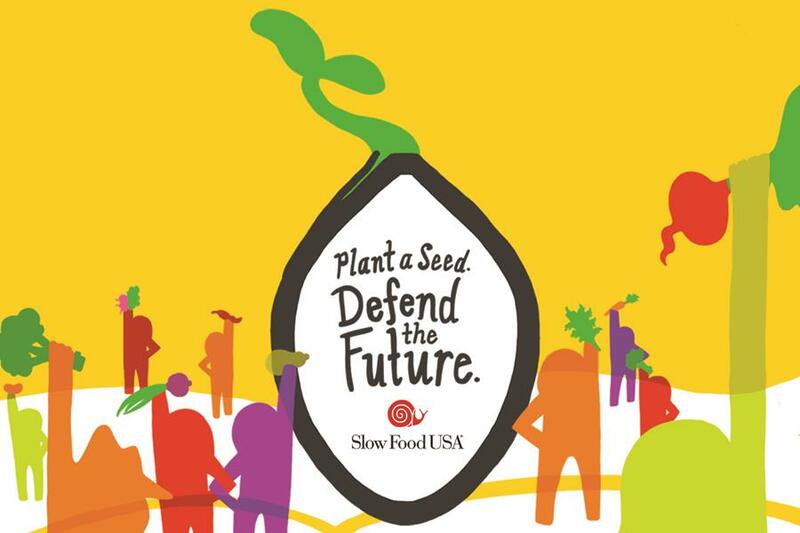 Slow Food is an affiliate partner, so you get a discount if you use the code "SLOWFOOD" when you stream the movie from seedthemovie.com. It's a great way to educate your community about biodiversity.